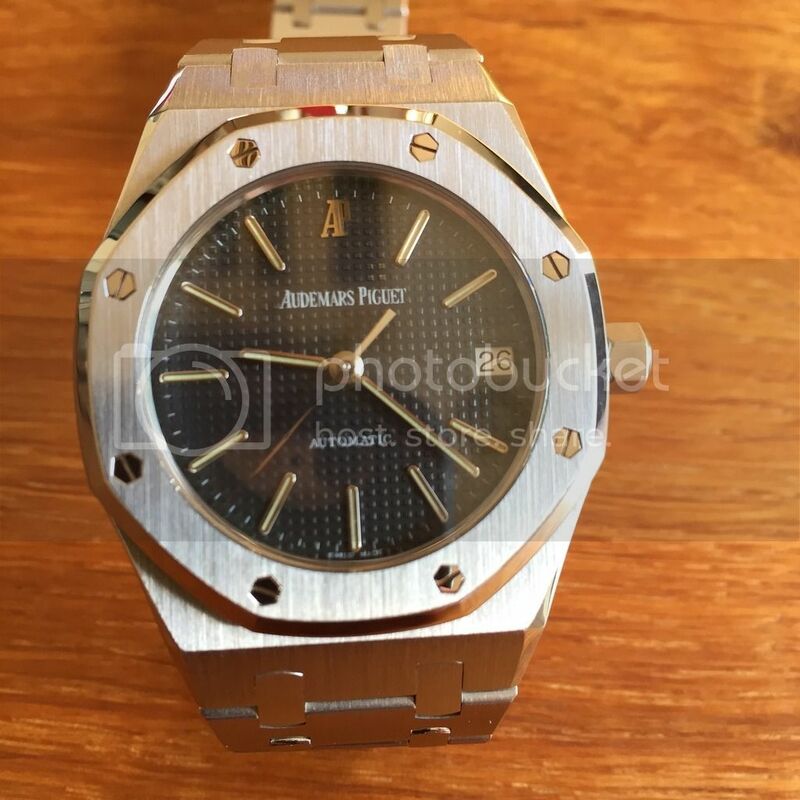 TimeZone : Audemars Piguet » Decaying dial ref 14790? I've been a long-time lurker on this forum, which inspired me to buy this D-serial 14790 from a fellow TZer last year. This watch had just come back from an expensive trip to the AP spa. You may or may not be able to see from the photos that the case and bracelet look like new - not bad for a watch dating from around 1996. However, literally in the last two weeks, it appears as if the dial is decaying. A surprise given the new seals and gaskets in the last service. 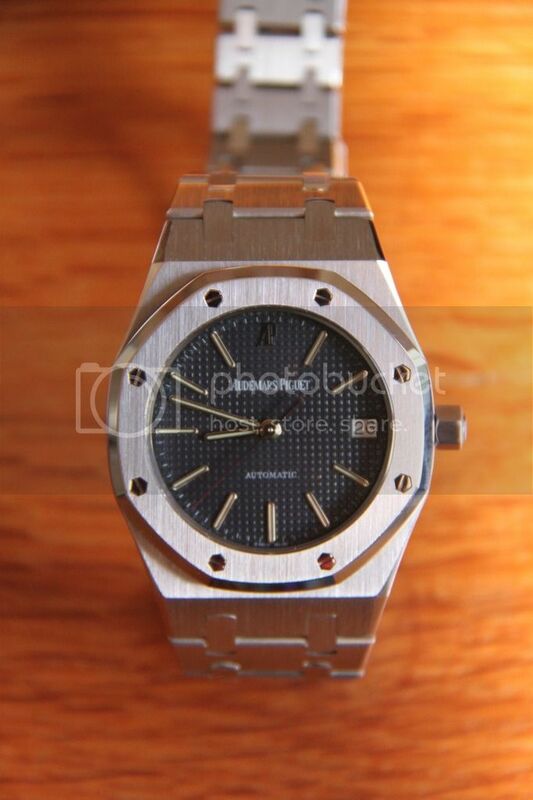 Please see the dial just above the "GU" of Piguet and also 3 "squares" to the right of the "C" in Automatic. It appears like the base metal is coming through. Has anyone seen this happen before? Any idea what would cause this or why it would appear so suddenly? I wear this in rotation with a bunch of other nice ones, so maybe wear it once a week. What would it cost to get a new dial? Appreciate any thoughts or feedback. I realize this isn't a big issue (yet) but now I've noticed it, it's all I can see. I really love this watch - and for any slimmer-wrested readers, the 36mm size wears bigger than it sounds. This particular watch is very thin, so very elegant.